Financial Transaction Manager integrates, orchestrates and monitors financial transactions. 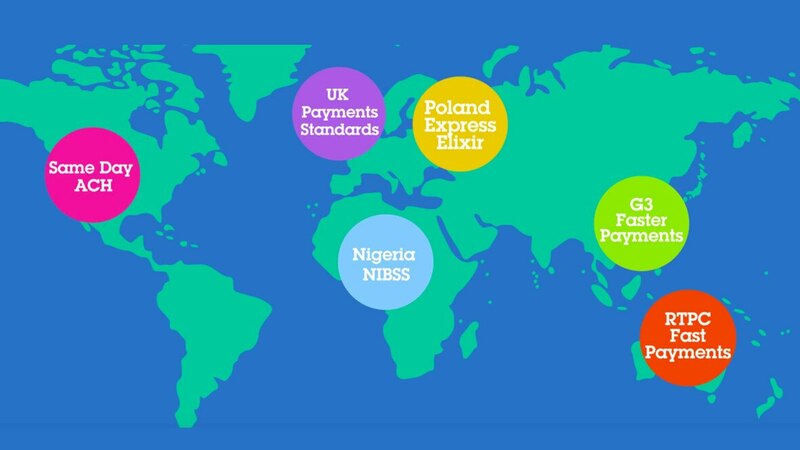 It delivers consistent processing across multiple payment types, enabling banks and financial institutions to converge their payment operations on to a single platform. Financial Transaction Manager can accelerate the delivery of improved financial products and services to customers. Offers prebuilt, industry-standard capabilities with optional complementary products for Immediate Payments, SWIFT, ACH, SEPA, check processing and corporate payment services. Converge payments processing and standardize operations, while reusing existing capabilities. Provides common integration capabilities, an operational database and more. Monitor payment processing across the enterprise and allow for risk management across multiple payment channels. Addresses AML and Dodd-Frank—and uses industry standards to aid in compliance. Shorten time required for application development and integration testing. Reuse relevant assets and take advantage of pre-built functionality to create new, differentiated products. Operate in the cloud for rapid development and gain fast access to a preinstalled instance of the Financial Transaction Manager product suite.